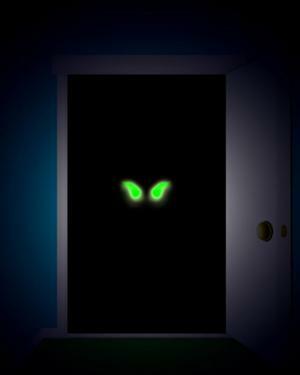 When many of us were children, we imagined that monsters were in our closet, presumably there to waste time and eat us- but as many of us age, our monsters have gone from the closet to the pantry. While many readers of Well Cultured eat incredibly healthily, some people have some pretty scary monsters in their pantries- things that make them fat and feel unwell. Here are 7 of these monsters- and what you can easily (and in many cases, cheaply) replace them with. While most don’t make the distinction, there are different types of meat, and the ones with lots of fat content (especially “premium” meats with lots of marbling) can be incredibly bad for you. The reason for this is pretty self-explanatory: while meats with more fat cook better and tend to be more tender in many ways, they also have a lot more fat per square inch, which is just plain bad for your waistline, no matter how you try to trim them. Replace it with: Lean meats of any kind- the leaner the better. Ironically, these are usually cheaper. While it seems common to associate eating a salad with being “on a diet”, salads can often be small calorie and fat bombs, all thanks to the dressing placed on them. This doesn’t apply to just salads, either- many spreads and sauces such as mayonnaise are infamously horrible for you, being packed with sugar, fat, and a variety of other horrible things that will quickly make a salad worse than any hamburger. Replace with: Vinegar, or a very little bit of olive oil for salads. Mustard is also a great choice for many foods. Spray butter has no calories and only a teeny bit of sodium, which makes it decent in moderation. In the case of ANY spread or topping, less is more. You’ve doubtless heard this by now: normal sodas, be it Coke or even some arcane cane sugar “Retro” cola, is bad for you. Case closed. Replace with: Diet soda, or no soda at all. Fake sugar will still spike your insulin, and this can still be bad in some cases, but it is by far the better choice in many respects. Be it a Hungry Man or a Pot Pie dinner, TV dinners or other “Frozen meals” can be absolutely horrible for you. Most of these pack not only a huge amount of food, but many pack a whole day’s worth of calories and carbs into one big package labeled a single “meal”- meaning you not only eat the stuff, but you eat all of it in one sitting. Replace with: Healthy frozen entrees (Lean Cuisine, Kashi, etc), or just stuff you cook yourself. Yes, alcohol: the legendary “beer gut” that plagues many men is very often because of beer. No matter how you swing it, the vast majority of alcoholic drinks are bad for you, especially when you drink quite a bit of them in one sitting. To put it in perspective, most of your average fratboy-esque drinkers end up drinking the equivalent of over a loaf of bread in beer in one setting- not exactly good for your health by any means. Replace with: Light beers. Avoid binge drinking- if you like alcohol, spread it out, and only drink a little at a time. Red wine has demonstrated health benefits, so drinking this in extreme moderation is fine. Consider alcoholic drinks to be like a calorie-laden dessert – only drink it once in a blue moon. Going right along with the aforementioned beer thing, refined flour-based products- white bread, white pasta, the vast majority of pastries, and the like- are absolutely terrible for you. Losing a lot of their nutritional qualities in the refining process, these items end up being absolutely terrible for you, and often so easily replaced, meaning that you have no excuse to eat them. Replace with: Whole wheat breads, pastas, and the like. Do NOT go for the blandly labeled “wheat” products, which can often be darker refined flour products- stick with legitimate whole grain whole wheat products. Let me be very clear: the debate over Sugar vs. HFCS (High Fructose Corn Syrup) is largely moot, because you should ideally be consuming very little of the foods they are in regardless of which one is present. Neither is necessarily healthier than the other, and the products they appear in- sweets, sodas, yogurt, bread, etc- are to be avoided. Replace with: Ideally, nothing. Cutting down on your overall sweets intake is an ideal choice for your health. As for breads, avoid over-sweetened breads (like “cinnamon swirl” type stuff) and focus more on whole wheat options. As for yogurt, try to transition to Greek yogurt, which is leagues healthier and sometimes much tastier. I disagree on the pasta. It’s loaded with carbohydrates, so as long as you have an outlet for the energy, pasta can be great for you. Plus it stores and reheats easily and is an easy, quick meal for the bachelor on-the-go. Of course this applies just as easily to wheat pasta, but the latter is almost always more expensive, and for the anonymous on a tight budget, every cent counts.